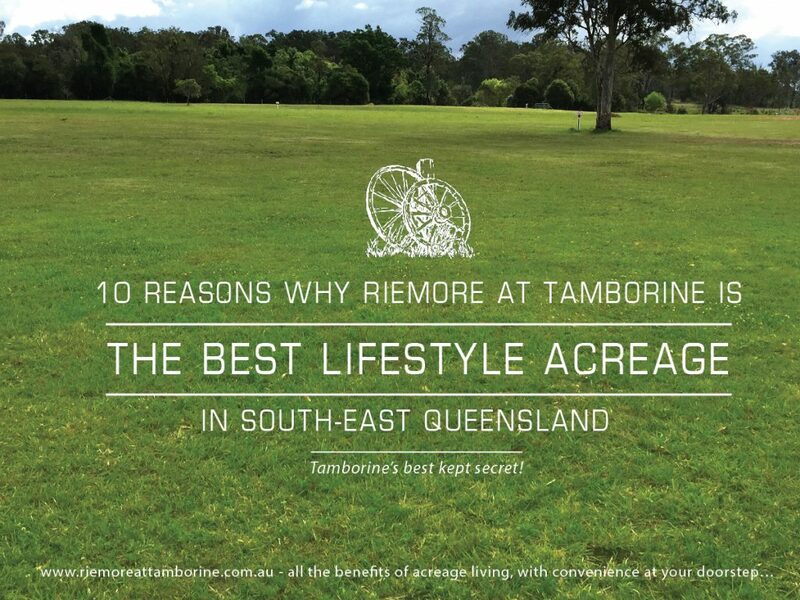 Riemore at Tamborine is a very unique lifestyle acreage. Not only is it conveniently located within commuting distance to the Gold Coast and Brisbane, it’s also just 15 minutes to the internationally renowned Mount Tamborine Village. Riemore at Tamborine has been carefully designed over many years by Nev Volker, to create a beautiful, liveable environment that optimises the majestic natural beauty of the area. Riemore at Tamborine is nestled between the Albert River and the majestic Mount Tamborine. Views from the Estate are constantly changing with the multitude of colours that can be seen with storms rolling in and sun pockets breaking through across the mountains. Every day is different and the wildlife and scenery become part of every day life as the families that live here build homes that take advantage of the beautiful outdoor lifestyle. Every afternoon around 1.30-2pm the community experiences beautiful breezes from the southeast. You are based in a rural area and driving around you’ll find produce direct from the growers that you can buy off the roadside, such as avocados, organic coffee and many other fruits and vegetables. However, you also have the buzz of activities on Mount Tambourine that you can enjoy with family and friends. There are many different types of restaurants, markets and community activities going on all the time. Schools are all within 15 minutes drive, with Primary Schools in Mount Tamborine and Cedar Creek and High Schools in Mount Tamborine and Beaudesert. As we mentioned before it is all within commuting distance to Brisbane and the Gold Coast. Nev Volker started work on Riemore at Tamborine back in 1994. 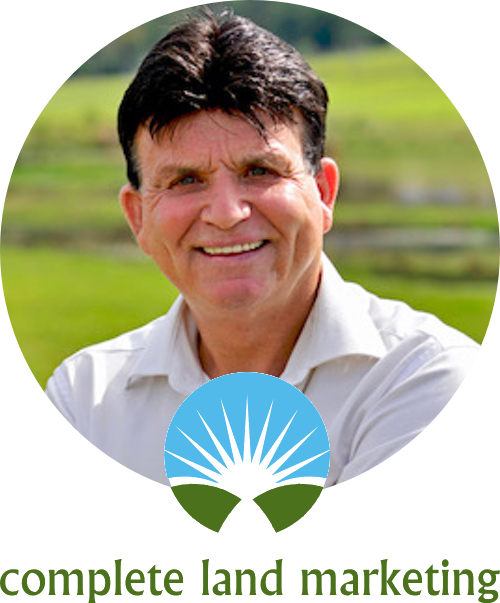 Nev is a qualified Environmental Scientist, Town Planner and Licensed Surveyor and wanted to create an estate that combined good planning and layout, with care and love for the environment. He’s designed an estate that follows the principles for water sensitive urban design to manage water quality and optimises outdoor living. The Estate is not a drive-through estate, there is only one way in and one way out. Only those that live here and those looking at the Estate drive into it, which means there won’t be speeding drivers and streams of traffic flowing through. It is a destination Estate and it was designed this way to create a safe community for families. Blocks have been carefully designed so that they are well-drained and not overly undulating so they are easy-to-build-on. Nev provides building pads rather than cutting into the landscape, because it looks better and creates better drainage and helps with views and breezes. This can be costly when the builders do it. All the roads run east-west with each property having at least 50 meters of frontage. These features allow better breeze and sunlight into each property. The Estate is one of the best examples of a Water Sensitive Urban Design with Nev having gone over-and-above the requirements by Council. There are many dams within the Estate to trap and clean water, along with swale drains alongside the roads. These all provide an onsite treatment train for water before entering the Albert River, looking after the health of the local waterway and wildlife. The Estate boasts lots of open space and parks for recreational use and wildlife. Jabirus and Pelicans regularly visit the Martin Family Environmental Park on the southern side of the Estate. All of Nev’s development planning and decisions have been made to create the most aesthetically pleasing, liveable Estate. He was the first developer in the area to put flush curbing in and chose to use a Bebo Arch instead of pipes. These give the Estate a much nicer and quality look, along with the minimum 50 meter frontages, open space areas and building pads. Nev and his wife Sharon have never, and will never, compromise on price. Their vision for a ‘high-quality, lifestyle acreage’ has and will always be adhered to. They will never drop their prices or sell out the back door. Nev and Sharon also have their family home within the Estate, yes they live on-site. They love it! As well as enjoying living here immensely, they also value protecting the future value of all the properties within the estate so they continue to hold their value in the market. Riemore at Tamborine is the last acreage sub division to be approved by the Scenic Rim City Council. There will not be any more in this area in the future, and there aren’t any developments of this calibre in the whole of the Brisbane/Gold Coast corridor. Come and take a look for yourself! You will be pleasantly surprised.